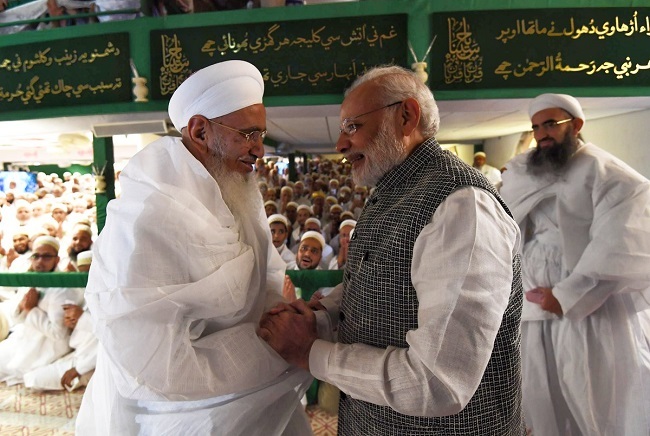 Prime Minister Narendra Modi said that the Dawoodi Bohra community, a sect within the Ismaili branch of Shia Muslims, has shown us the path of righteousness with their doctrines of peace, unity and patriotism. 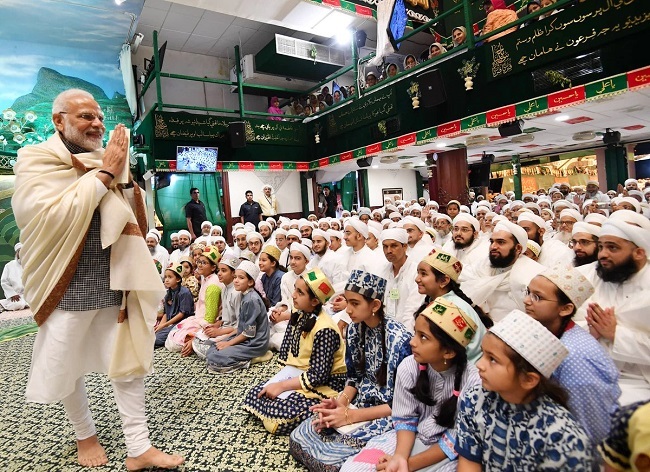 Indore: Prime Minister Narendra Modi on Friday said that the Dawoodi Bohra community, a sect within the Ismaili branch of Shia Muslims, has shown us the path of righteousness with their doctrines of peace, unity and patriotism. 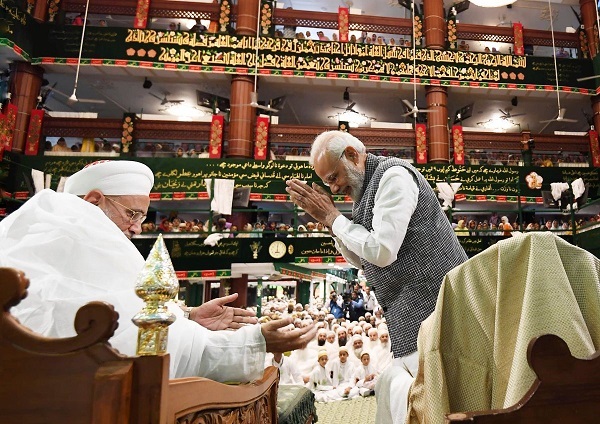 "With their doctrines of peace, unity and patriotism, the Dawoodi Bohra community has shown us the path of righteousness. 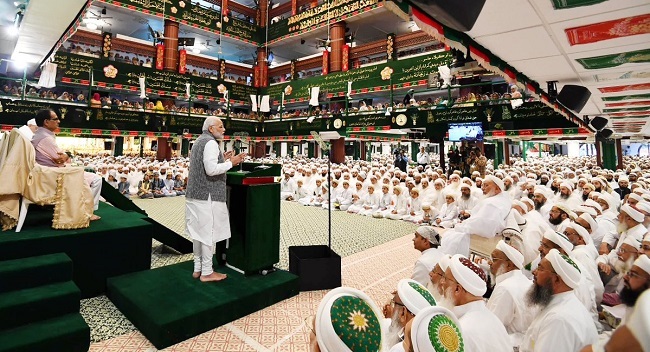 The community is inspiring the youths in the country," the Prime Minister said while addressing a religious congregation of the community here at the Saifee Mosque on the occasion of 'Ashara Mubaraka'. 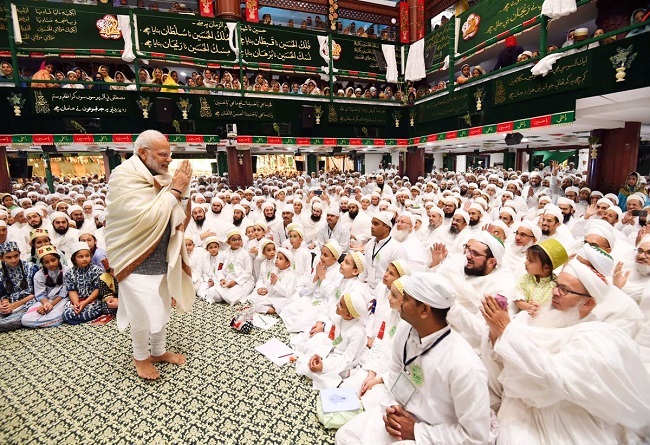 Recalling his long-standing relationship with the Bohra community, the Prime Minister said: "It is my good fortune that I have received the affection of the Bohra community. The community even assisted me during my tenure as Gujarat's chief minister. It is the sheer affection shown by you people that has brought me here today." 'Ashara Mubaraka' is observed at the beginning of the Islamic year and is organised to commemorate the martyrdom of Prophet Mohammed's grandson Imam Hussain. While addressing the gathering here, the Prime Minister lauded Imam Hussain's efforts towards establishing peace and justice across the world and also hailed the community's efforts in improving the condition of children and empowering society. 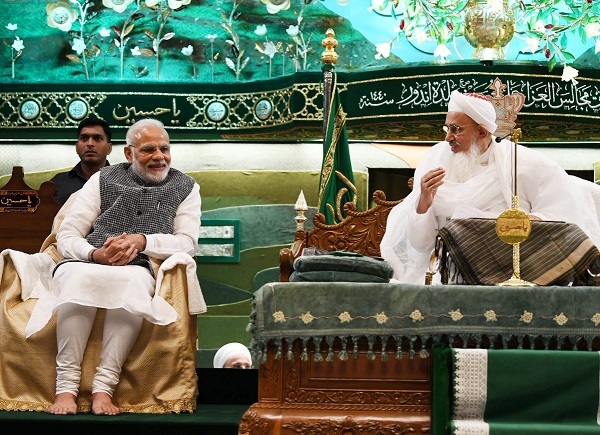 "The Dawoodi Bohra community's effort in improving condition of children has come a long way in empowering society. They started community kitchens to provide food to all. To provide affordable health care, the community is running several hospitals," he said. A day ahead of the 'Swachhta Hi Seva' movement, the Prime Minister said that the Swachh Bharat campaign has developed into a mass movement, adding that cities like Indore and Bhopal are setting benchmarks in the protection of the environment. The Prime Minister also informed that Ayushman Yojana, which has come as a saviour for about 50 crore poor people of the country, will ensure free annual medical treatment worth Rs 5 lakh per family, adding that a trial run of the same is underway.